Fantastic Artists, Music, Dance, Magic, Food & Of Course, Stiltwalkers – what more could you ask for! 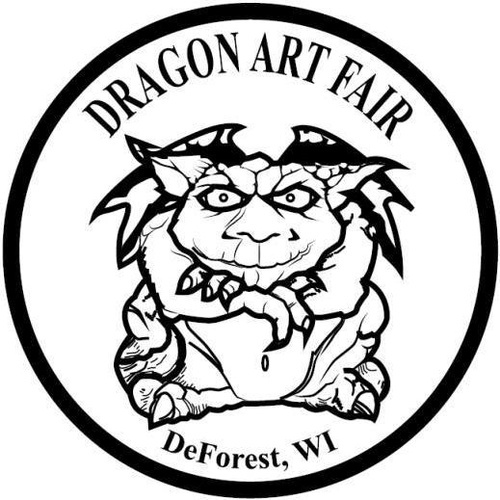 Join Us for the 15th Annual Dragon Art Fair at DeForest’s Fireman’s Park on June 1st from 9:00-4:00. With nearly 100 amazing local & regional artists working on all medias, entertainment and great local food, the Dragon Art Fair is sure to have something for everyone. Our silent auction with items donated by the artists and community businesses provides an opportunity have fun and donate to the Dragon Arts Group Scholarship fund. The Dragon Art Fair has relocated to Fireman’s Park which offers an easily walkable park setting, air-conditioned silent auction space, easy access and parking, all of which will provide an even more enjoyable experience for both artists and guests. For more information about this event, go to www.dragonartsgroup.org, check the Dragon Arts Group Facebook page or e-mail jwills@dragonartsgroup.org.